Recently, Chris and I, with the help of some other friends have been helping one of my roommates produce a CD. It's all just for fun (and almost all covers), but we're taking it rather seriously. Last night we "released" her first digital single complete with this album artwork I designed. 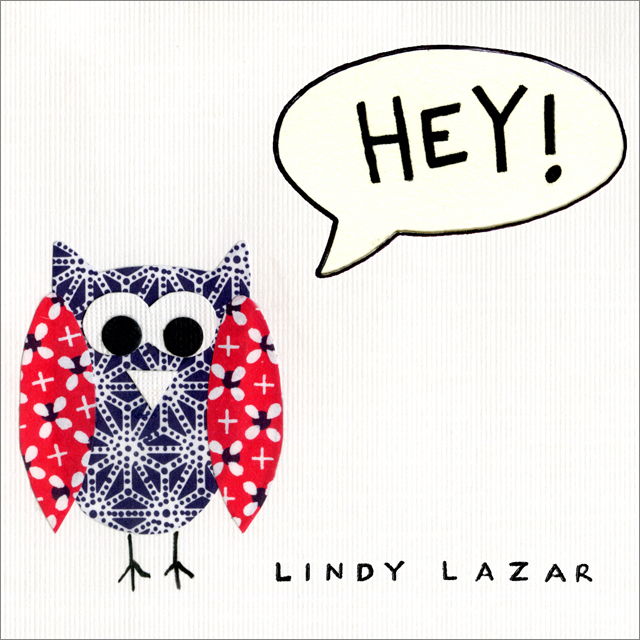 We're planning on calling the full-length album Night Owl because the running joke in my apartment is that when you go to bed Lindy is awake and when you wake up ... Lindy is still awake. So the owl will be a consistent theme throughout. So I haven't opened my NetNewsWire in 1293081239820382193 years, but when I did, I had not one, not two, but THREE Katie Kuehl blog posts to read! Imagine my delight! It was almost but not quite as good as actually hanging out with you. :) Hopefully we can make plans soon. Your nectarine genius is amazing. So clever!